Washington Huskies sophomore guard Jaylen Nowell, who is entering the NBA draft, has hired agent Ryan N. Davis of Rep 1 Sports. 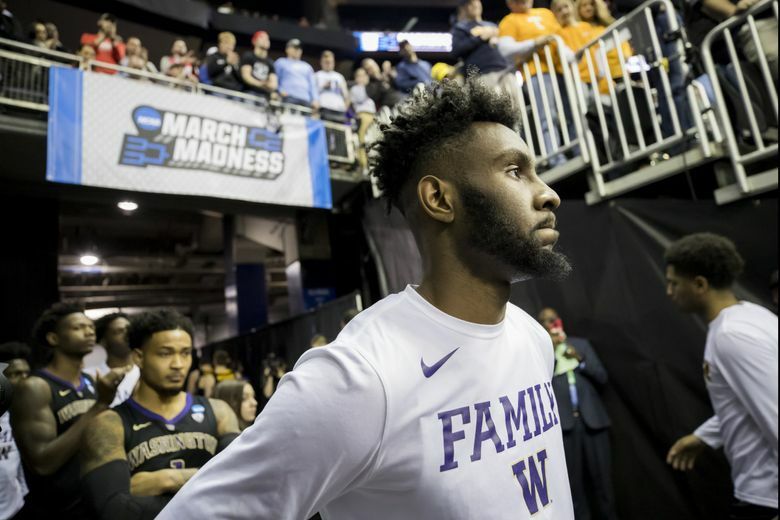 However, the UW standout can still return for his junior season if he withdraws from the draft before the NCAA’s May 29 deadline. A recent change in NCAA rules allows early-entrants to hire agents and attend the NBA draft combine and private team workouts. Nowell, the Pac-12 player of the year, averaged 16.2 points, 5.3 rebounds, 3.1 assists and 1.3 steals last season while shooting 50.2 percent from the field and 44.0 percent on three-pointers. NBAdraft.net projects Nowell as the 12th pick in the second round (No. 42 overall). Meanwhile, ESPN.com doesn’t include him among its top 100 draft prospects. The NBA draft combine is May 14-19 in Chicago. Davis has recently represented NBA veterans Jason Terry, the former Franklin High star, and Hasheem Thabeet.